Want a deeper understanding of Psalms? The Psalms, the longest book in the Bible, has been described as the national hymn-book of the people of Israel in the Old Testament. Full of emotion, expressing the believer's response to various experiences and full of theology, these psalms give wonderful counsel to us today, both in our day-to-day life and in our worship. Roger Ellsworth competently leads us through the different kinds of psalms, first giving the "big picture" then "zooming in" to look at the detail of some of the psalms in closer perspective. Psalms : Opening Up the Bible by Roger Ellsworth is published by Day One and is our 18087th best seller. The ISBN for Psalms : Opening Up the Bible is 9781846250057. Be the first to review Psalms : Opening Up the Bible! Got a question? No problem! 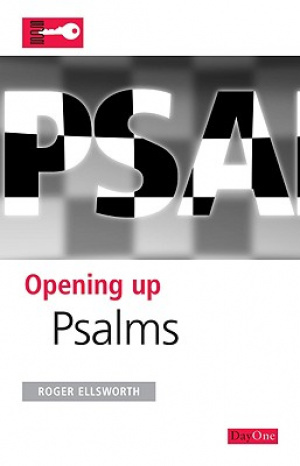 Just click here to ask us about Psalms : Opening Up the Bible.